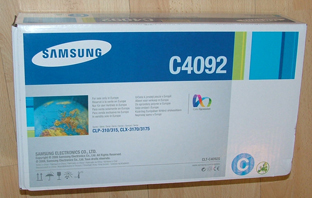 CLT-C4092S – Genuine Samsung branded C4092 CYAN 1000 page toner cartridge – delivered FAST & FREE! CLT-C4092Srem – Guaranteed Remanufactured Samsung CYAN Toner Cartridge – Delivered FAST & FREE! 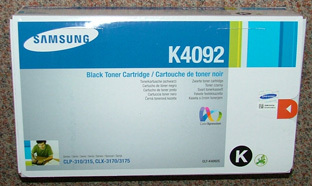 CLT-K4092S – Genuine Samsung K4092 BLACK 1500 page Toner cartridge – delivered FAST & FREE! CLT-K4092Srem – Guaranteed Remanufactured Samsung BLACK Toner Cartridge – Delivered FAST & FREE! 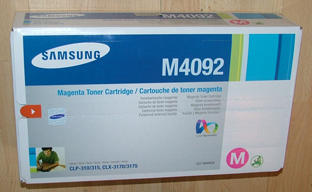 CLT-M4092S – Genuine Samsung branded M4092 MAGENTA 1000 page Toner Cartridge – delivered FAST & FREE! 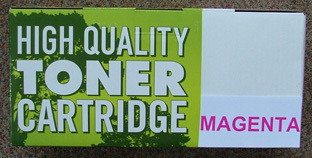 CLT-M4092Srem – Guaranteed Remanufactured Samsung MAGENTA Toner Cartridge – Delivered FAST & FREE! CLT-R409 – Genuine Samsung replacement IMAGING DRUM – delivered FAST & FREE! CLT-W409 – Genuine Samsung Waste Toner Bottle – delivered FAST & FREE! 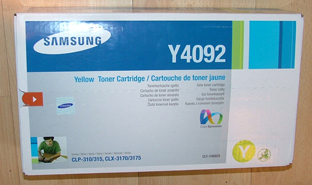 CLT-Y4092S – Genuine Samsung Branded Y4092 YELLOW 1000 page Toner Cartridge – delivered FAST & FREE! 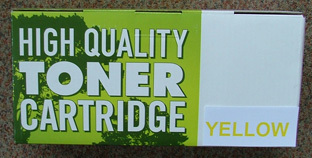 CLT-Y4092Srem – Guaranteed Remanufactured Samsung YELLOW Toner Cartridge – Delivered FAST & FREE! 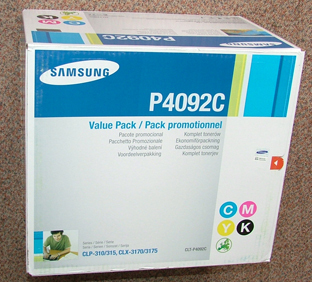 P4092C – Genuine Samsung Rainbow pack of 4 original toners – delivered FAST & FREE!